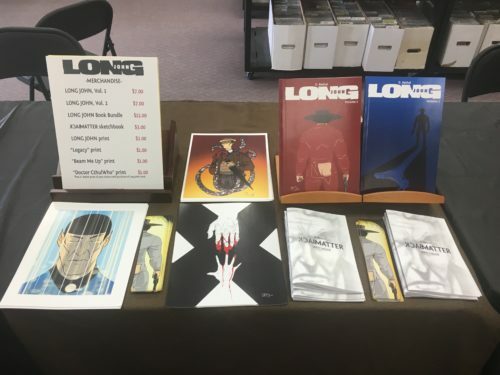 My table at FCBD 2017. My haul of the Free Comic Book Day books. 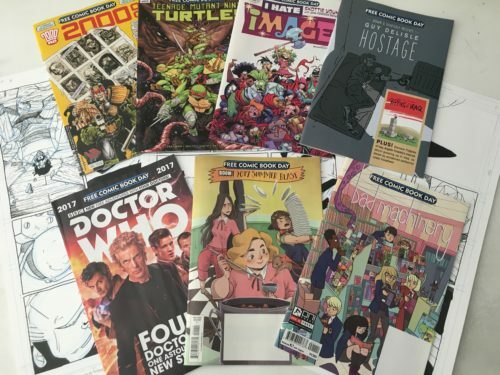 Clockwise from the top left: 2000 AD, Teenage Mutant Ninja Turtles, I Hate Image, Guy Delisle’s Hostage, Bad Machinery, Boom! Studios 2017 Summer Blast, and Doctor Who. So far, I’ve only sat down and read through Skottie Young’s I Hate Image, a short story featuring the protagonist from his hit Image book, I Hate Fairyland, and it is hilarious especially if you are familiar with some of the key players at Image Comics. I’ve read through the Doctor Who book as well and found it a rather clever use of art to delineate different Doctors within a single story (the Doctor is the name of the protagonist in Doctor Who who “regenerates” when actors playing the Doctor leave the show and are replaced by a new one). Bad Machinery was a surprise for me because I have been a fan of creator John Allison’s work for years back when he did a webcomic called Scary-Go-Round which he shuttered and replaced with a spinoff, Bad Machinery. 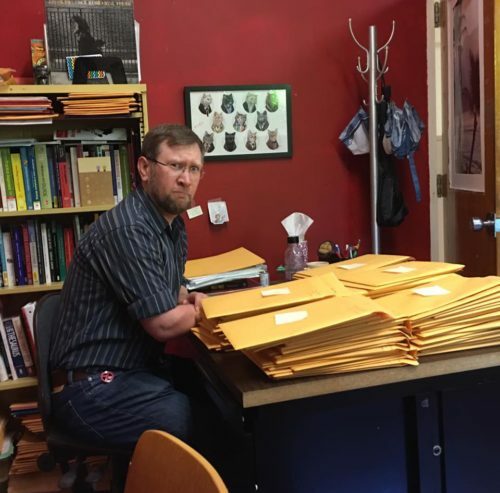 While still doing webcomics, he has found success with the print comic, Giant Days, which he writes for Boom! comics. So, it was nice to see webcomics represented in the mix of Big 2 (Marvel and DC) and other major publishers. 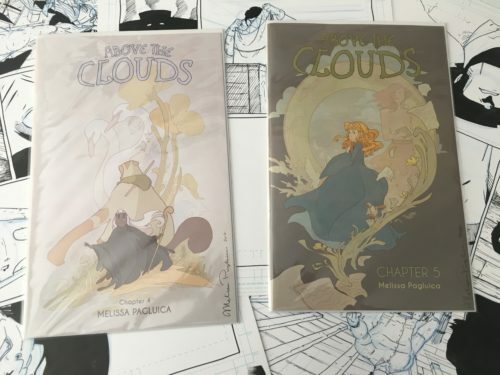 I also picked up the most recent two issues of Melissa’s comic, which you can also get from her Etsy store. Also, with the Wonder Woman movie arriving in June, I figured I should not be a poser and actually read some Wonder Woman. 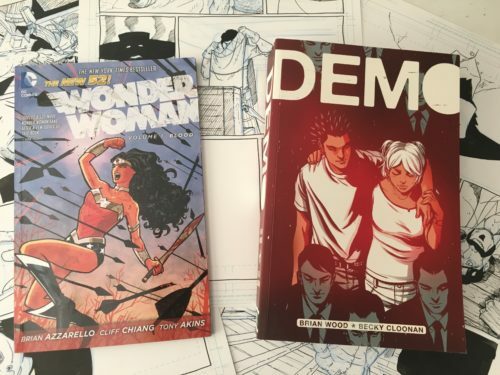 Of DC’s initial “New 52” launch (many books were cancelled and new ones introduced later in the New 52 lifespan) I remember hearing very positive things about what Brian Azzarello and Cliff Chiang were doing with Wonder Woman. At the time, I liked keeping my net shallow and the only New 52 book I read was Batman. But now that the New 52 is done and that story is completed, I figured that (with a sale, to boot), it would be the perfect chance to go back and check out this run on a classic character. I haven’t dug into it yet but Nicole––my spouse––has thoroughly enjoyed it so far.